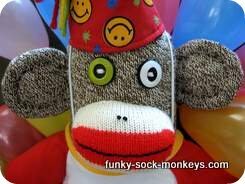 How to make a Happy Birthday monkey crafted from a pair of Original Rockford red heel socks. Clothed in shorts, a B'day T-shirt and groovy party hat (clothing is store bought). 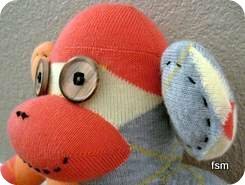 Make your monkey following the sock monkey doll pattern. 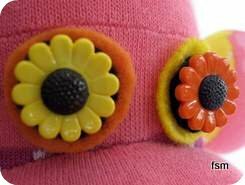 Eyes: Stitch on two buttons with white embroidery thread. 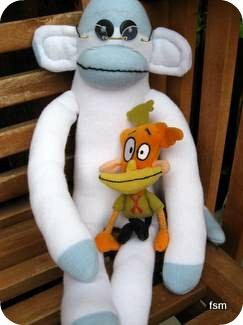 Ears: Cut large round ears, stuff and embroider with black thread, stitch to head. 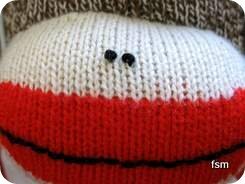 With black embroidery thread stitch on the mouth and two nostrils. Clothing: Even though the clothes are store bought, they are very cute and fit this fella well. There is even a hole in the back of his shorts for his tail to go through. 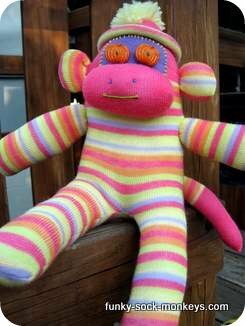 I got the monkey clothes from a local craft store but you could also look at toy stores as many carry dolls clothes which may be suitable to dress your monkeys in. Water balloons were blown up and surround this little fella, thought they were more to scale than our usual sized balloons. Water balloons sure aren't the easiest things to tie up when they are full of air, seems much easier when they are full of water. 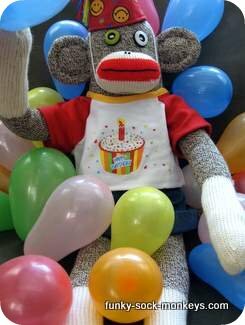 Anyhow, it doesn't take to much to get a party theme going on, a few balloons (sock monkey sized), a party hat of some sort and you're away. 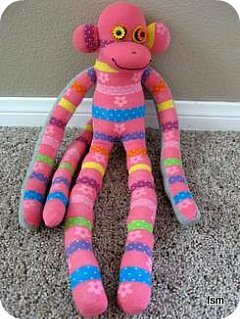 My sister made a sock monkey cake once, it was super cute and would be the perfect addition to a sock monkey birthday party. 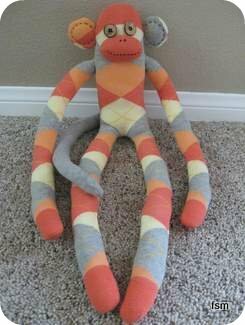 There would be no end to the different ways you could make a sock monkey cake look. 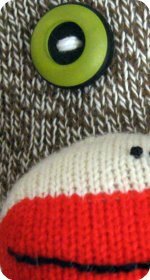 Following the colour scheme of the Rockford Socks sock monkeys would give a cake that vintage feel but there absolutely no reason to get funky and go all out and make a crazy fun sock monkey cake - there's no rules! 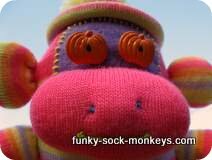 If you have a monkey party to organize you'll need some fun monkey party supplies. For personalized birthday gifts head to Campanella Creations and Linda will help you create some fun and unique gifts. TIP: Store bought clothes are very convenient. 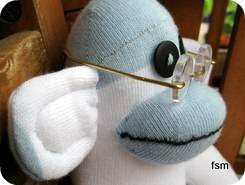 If you are lucky enough to find teddy bear clothes, many have a hole in the pants for your sock monkey toy tail to go through.